Tyler Whitcomb models the freelanced Tenino Western, which is loosely based on the Port Townsend Southern route in western Washington State. His late 1980s to early 1990s layout is expertly modeled in a beautiful locale, connecting Washington's capital city of Olympia with the Pacific coast. 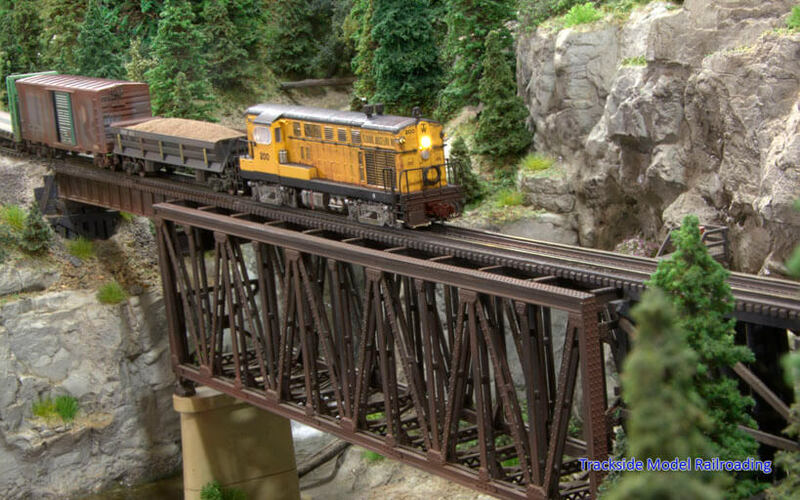 The railroad hauls a variety of freight on this highly detailed N scale layout. 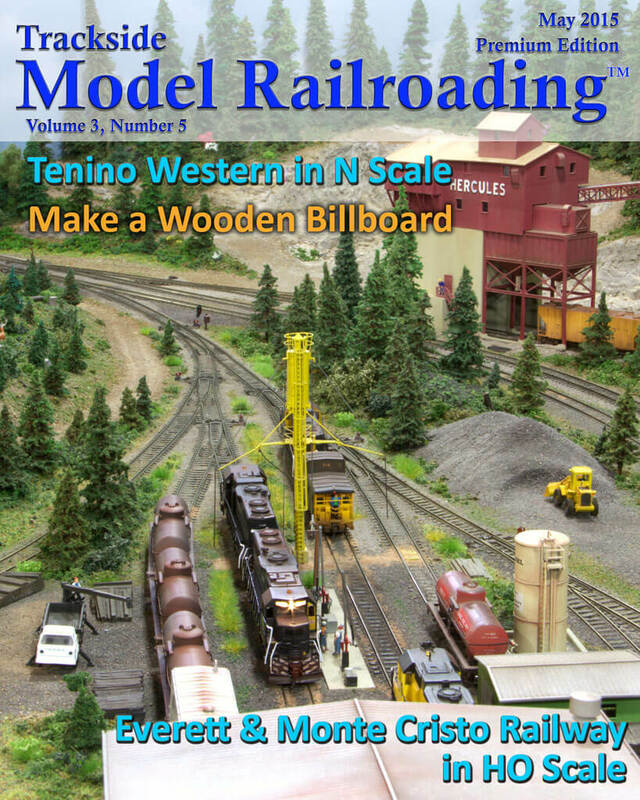 We include an article, photos, and video of the model railroad. We also visit a beautiful 1892-1902 era HO scale prototypical layout modeled by Didrik Voss. 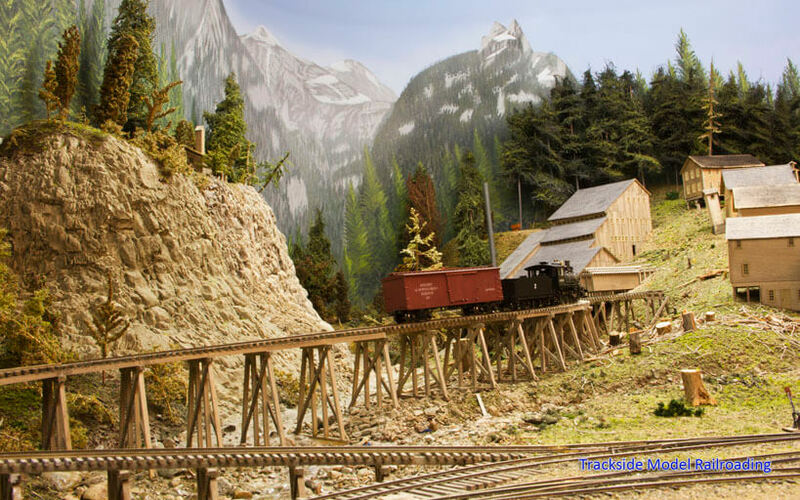 Didrik is also a highly skilled modeler, and he connects the gold rush mountain town of Monte Cristo in the Cascade Mountains with Everett, Washington to the west. The scenery is superb, with beautiful mountains and steep switchbacks guiding the Everett & Monte Cristo steam trains down to the Stillaguamish River and Robe Canyon and then west to the port. This layout also includes an article about the layout and the prototype's history, photographs, and video. A little patience and a few supplies is all you will need to create your own wooden billboard sign for your layout. You can follow the steps in the article to build a sign in any scale using scale lumber. 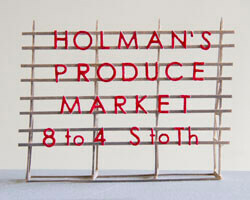 We built a sign in HO scale, but you can easily use the same steps to create a sign in any scale or size. The project is not difficult, but will require some patience.